"Wash and dry in less than 1mq "
Most of your customer linen cab be wet cleaned without any risk, why should your customer renounce to fresh linen? If the problem is the missing place, TANDEM is the solution! TANDEM laundry is designed to allows the professionals of laundry to offer a complete service! Tumble dryer stacked on a washing machine. Washing machine & tumble dryer frontal panel in AISI 304 stainless steel. Control, heating & Mechanical systems completely independent. Washing ,machines equipped with IM8 computer: 200 washing programs. 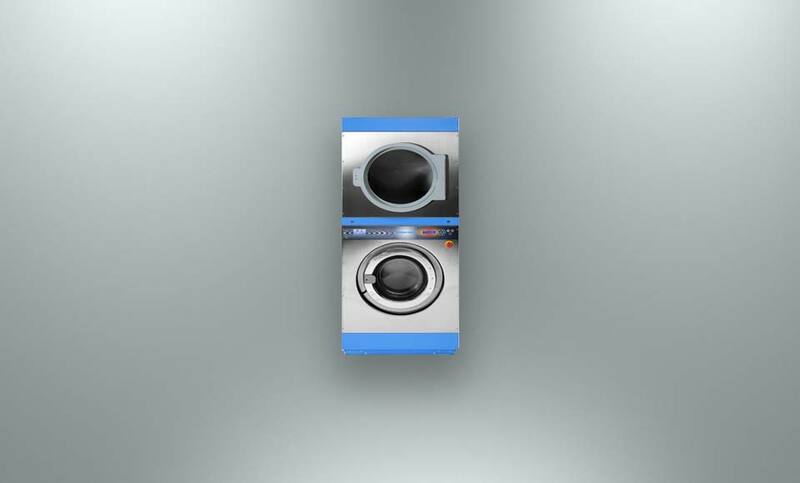 Tumble dryer equipped with IM7 microprocessor: 30 drying programs.